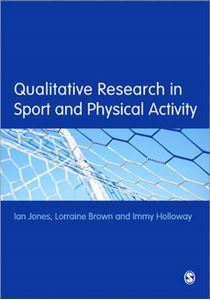 Quick overview Designed especially for students in sport and physical activity, this book provides a detailed guide to planning, undertaking, and writing up qualitative research. It's a coherent and accessible guide through the research process, using numerous examples to bring research alive. * writing up and disseminating your findings.